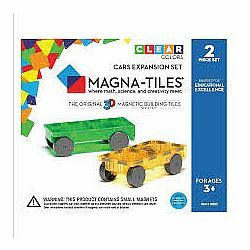 Add the Magna-Tiles® Cars 2 Piece Expansion Set to any Magna-Tiles® collection! 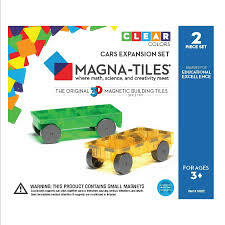 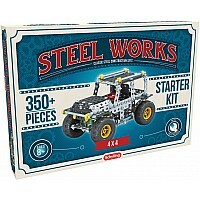 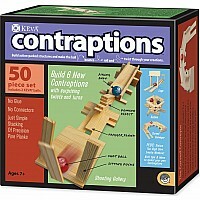 Magna-Tects can design and drive their own Magna-Tiles cars in and around structures that they build. 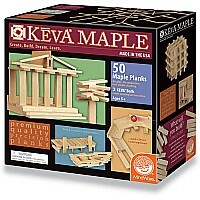 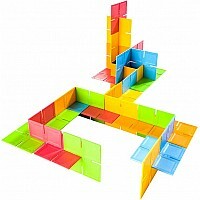 Make a Magna-Tiles® maze, racetrack, or parking garage to explore!